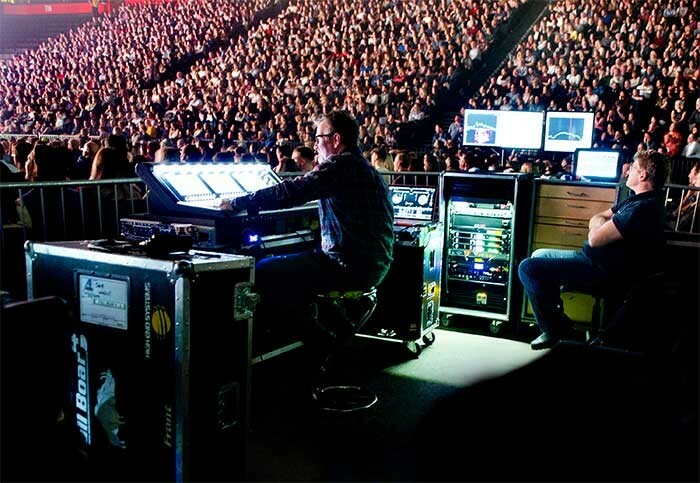 UK – Rental company Adlib continues its work with top comedians, having just supplied full production – sound, lighting and video – for Jack Whitehall’s sold out, three week At Large UK arena tour. The Liverpool-based company was delighted to be on the road with one of the UK’s most exciting and successful talents having previously supplied production for his ground-breaking 2014 arena tour, which was staged in-the-round. Having appropriate production in the right proportions and places is a key to delivering comedy on a large scale. It is about presenting this very intimate and personal style of entertainment and communication in a way that ensures audiences in larger venues enjoy all the same essential experiences as a one-to-one scenario. 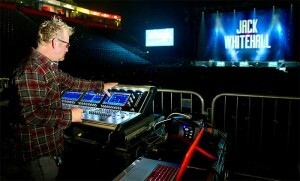 Steve ‘Patto’ Pattison mixed front of house, working with a strong team from Adlib including monitor engineer / sound crew chief Marc Peers and systems technician Tony Szabo, who was responsible for the precision and detail required to ensure that every seat in the house had crisp, clear and audible speech. 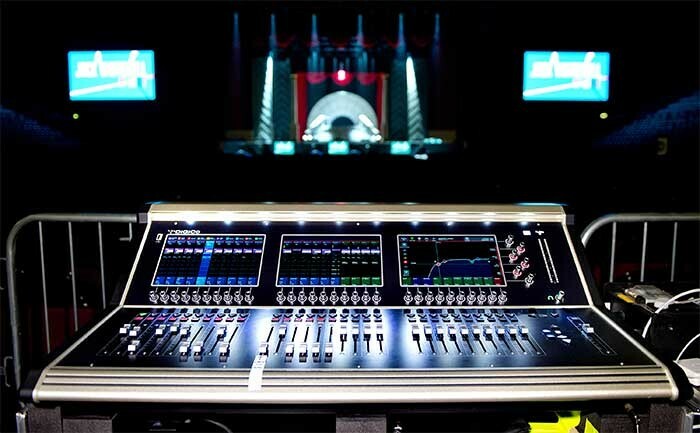 Patto’s console of choice was a DiGiCo S31 – a first time out with this particular product for both him and Tony – while Marc used an S21 for monitors. As only eight channels were being used, the tiny footprints of the consoles were an ideal mix of quality and size for the application. 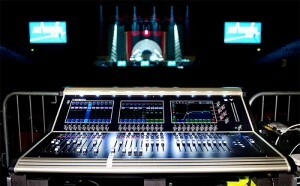 The stage box was a DiGiCo SD-Rack This was connected via BNC coax cable from FoH to stage and run at 48K for full redundancy in both directions, allowing each console to back up the other if necessary. Marc Peers’ set-up utilised one of Adlib’s Wardrobes, an ingenious fully configurable double width case – in this case containing SD-Racks, UPS and RF units, shout speakers and power distro – designed for push-in-plug-in-power-up convenience and speed. At Large was a huge success, selling out everywhere and bringing many laughs and lots of warmth across the UK during a cold and grey February.